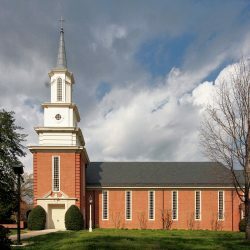 Gretna United Methodist Church is a church located in Gretna, Louisiana. They knew they had a sound problem within their sanctuary. However, they did not want a typical acoustic panel treatment. 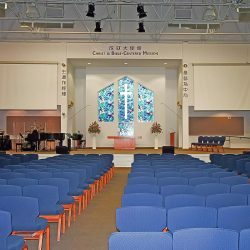 Trey Harris, the senior pastor, approached Acoustical Solutions about treating the problems within the sanctuary; they had a reverberation time of over 4 seconds and a slap back echo problem. 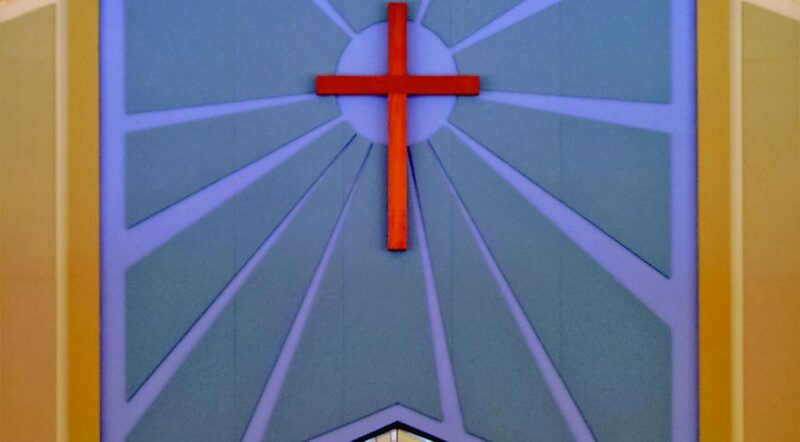 However, the biggest challenge was meeting the church’s desired aesthetic looks. 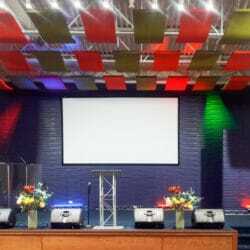 They did not want a series of square or rectangle acoustical wall panels lining the walls. 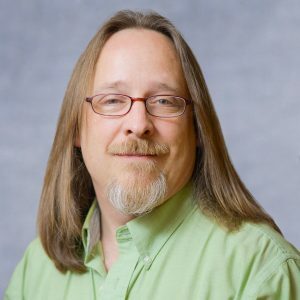 When Trey Harris came to Acoustical Solutions, he was told that he needed to treat the back wall. 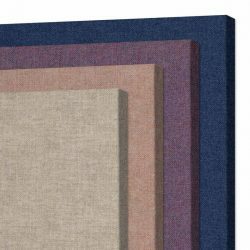 If he could draw out a pattern for the AlphaSorb® Acoustic Panels, Acoustical Solutions could make them to any size. 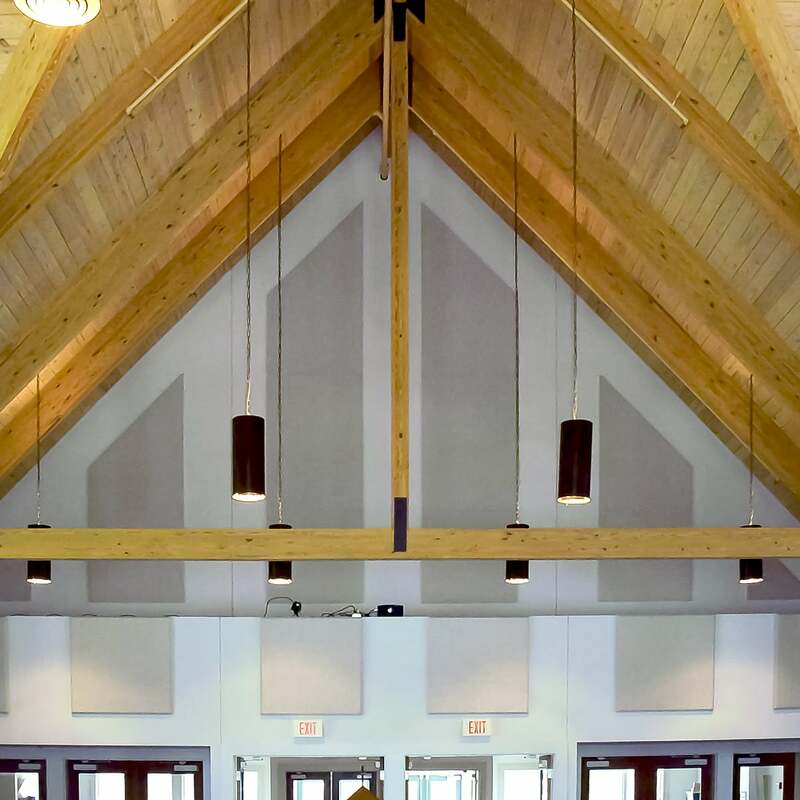 Acoustical Solutions suggested the possibility of a sunburst pattern of AlphaSorb® Acoustic Panels above the doors, with panels on each side of the doors having angled cuts at the top to match the pitch of the ceiling. 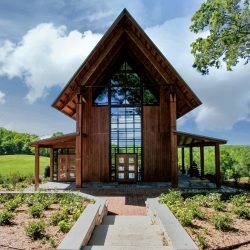 Gretna United Methodist Church had an architect from the congregation draw up a design with rough dimensions and they placed the order. 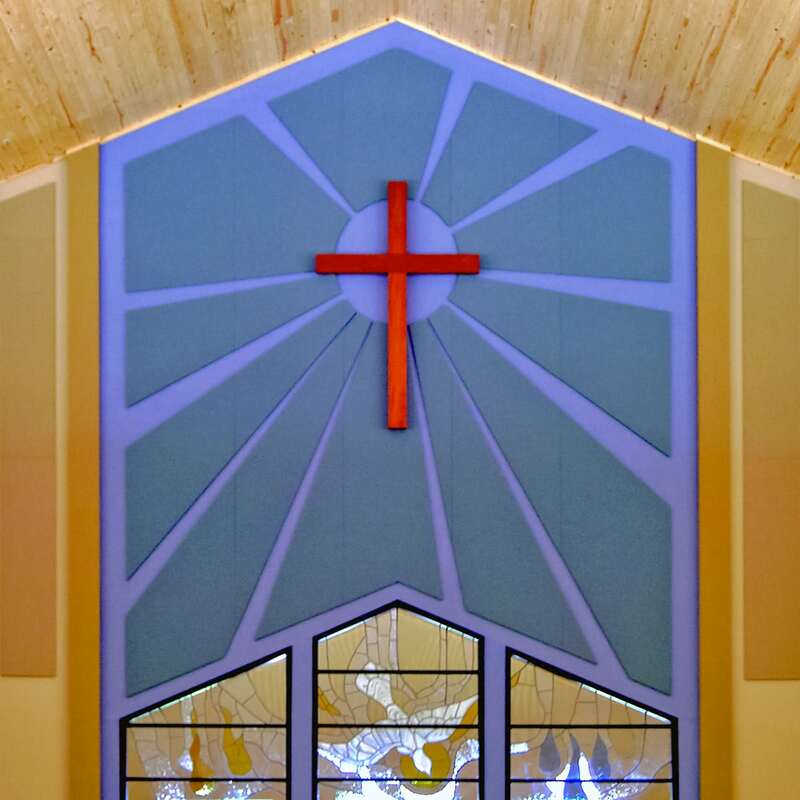 Acoustical Solutions had their CAD department draw up each of the panels and send it back to the church to double check the dimensions. 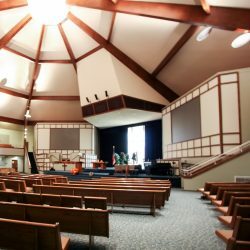 Once the church approved the drawings, they would have the answer to both their acoustical and aesthetic problems within three weeks.